"Every client experience is unique in itself and therefore I cater to each specific need or request. I am extremely passionate about my work and what I create." The Studio: D.Sweetpea's is a local, family owned, independent Austin business offering an assortment of exceptional services including wedding flowers, weekly installations, parties and private lessons, custom local deliveries, rentals and even floral art for sale! We would love to chat about your next floral need- whether big or small! The Designer: Debra McAdoo-Schultz sprouted into the world of flora in 2000. Through years of hands on experience at a local full service flower shop, paired with continuous floral education, she gained invaluable knowledge and techniques that have helped her become the expressive and creative designer she is today. Her passion for floral design found her as an instructor at Austin Community College Floral Department in 2009. She loves sharing all that she has learned with her clients, students and peers. Debra blossomed D.Sweetpea’s Custom Floral Design in early 2010. An inspired, Austin grown floral boutique specializing in weddings and events, weekly business accounts, and dried floral. She expanded her business by creating Flower Power Parties and offering private lessons to continue spreading her joy for flowers. She also offers custom orders for local delivery and customized dried floral design and artwork. Debra's work can be seen around the Austin Area including businesses such as South Congress Café, Second Bar & Kitchen, Luminosity Hair Studio, and Austin Laser Dentist. Flowers can compliment your personality and create a romantic visual experience of color and artistic synergy. 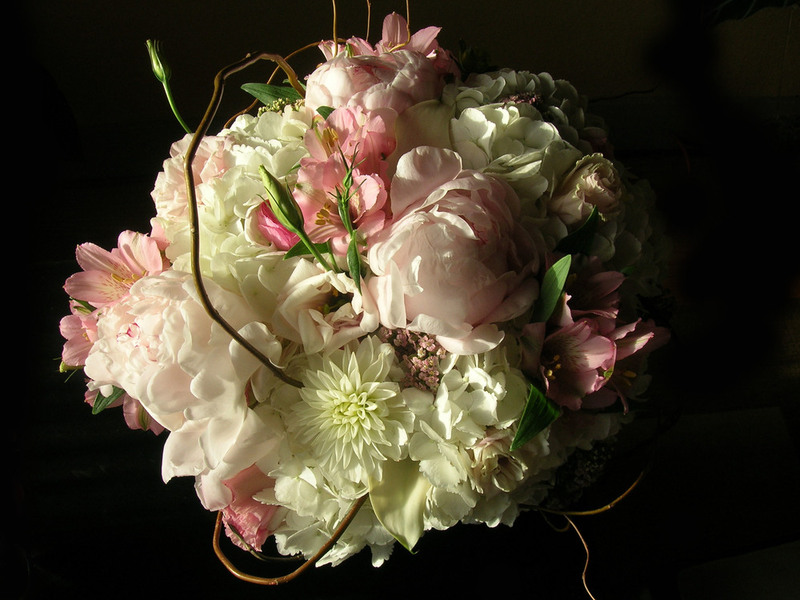 My focus is to express who you are through floral design, and to help you celebrate a life-long memory. Let us help you take your event to the next level by adding the ambiance of floral design! We take all aspects of your event into consideration- the location, occasion, size of space, number of attendees, color scheme, and of course your budget. Please fill out the event form under Order / Book and we will contact you for more details and to set up a consultation. Nothing enhances your environment like fresh flowers! Liven up your restaurant or business and enhance your customer's experience with beautiful arrangements, customized to fit your space, style and decor. We offer weekly, monthly, or one-time installations to your restaurant or business as well as floral maintenance services. Please contact us to set up a consultation and discuss pricing options. Let us design a beautiful and unique custom floral arrangement to deliver for you here in Austin! A minimum 48 hour notice is required to allow time for product availability and creation. Click Order / Book to fill out our pre-consult form. ORDER YOUR FLOWERS TODAY FOR VALENTINE’S DAY! QUANTITIES LIMITED! Please note- Some flowers may not be available due to seasonality, but we will inform you in advance and substitute a similar variety to accomplish the same look or feel. We also create dried floral work as arrangements or artwork. These require more time and a consultation to discuss what you would like. Please check out our Dried Florals under Collections to see some of our past work. How our Flower Power Parties work: We come to your home or establishment, and bring all materials necessary: tables, flowers, vases and floral supplies, etc. We arrive 30 minutes prior to the event to set up. Parties last roughly 2 hours, and in this time each person will create a beautiful floral arrangement. The lesson includes floral terminology, care and handling techniques, and detailed instruction along the way. And we will take care of all the floral waste to compost! Both Parties and Lessons include the cost of flowers, vases/containers, as well as essential information, guidelines, and instruction on creating beautiful flower arrangements on your own! Includes florals such as alstromeria, snap dragons, sun flowers, wild flowers, etc. Includes premium florals such as hydrangea, roses, lilies, etc. Includes high end florals such as orchids, calla lilies & tropicals, etc. *For parties of 6 or more, we do offer a group rate. We can also customize a flower party to your liking (floral crowns, bouquets, etc)! Please contact us to for more details! PRIVATE LESSONS: Private Lessons Include: One on One Instruction on Floral Design Techniques, Terminology, Care and Handling, Structure and Styles. Handouts and materials including flowers/foliages, vessels, and tools to work with the day of are also provided.